Wasn't part of Kaldi's bio, "Doesn't want to fight? "...If Kaldi wants to be an NPC, let him. That's part of why he could still work well as an NPC, but I think that attitude could make him stand out as a playable character too. He and Ajna didn't have backgrounds in war, but they were both forced into combat in order to defend their homes. So, he obviously acknowledges the need to fight, but he still seems to maintain his ideals and even-tempered outlook despite the circumstances. I think it'd be nice to see a character like that, who can share some of Ajna's experiences from a mature perspective, play an active role in her journey. It's also kind of rare to see characters with Kaldi's qualities that are just plain, levelheaded, middle-aged adults, and not played off with quirks like the old sage, or the stoner, or the naive dreamer. He's chill, peace-loving and friendly, but still seems pragmatic and down-to-earth. Anyway, that's mostly water under the bridge now. Hopefully we'll get some more reveals soon so we can start toning down on the speculation. Now that Thorani has been revealed, I think it's time to jump back into the discussion a bit. 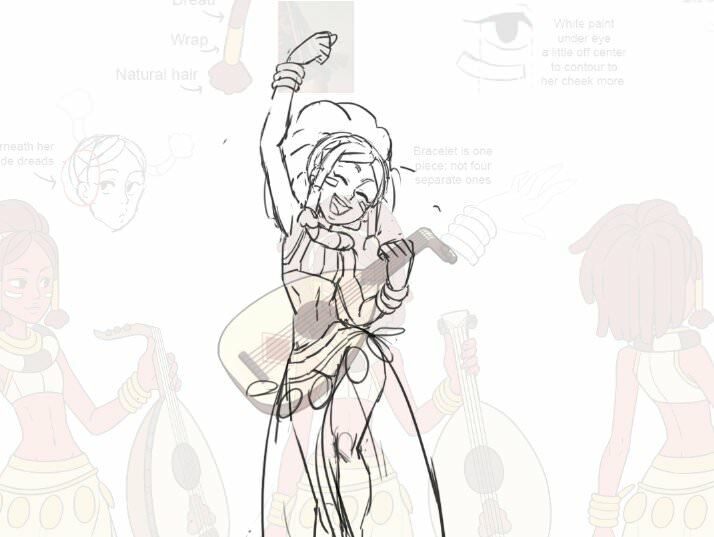 We have had official model sheets on the Indivisible website for: Zebei, Tungar, Razmi, Dhar, Honey and Gingseng, Qadira, Baozhai, Vasco, Phoebe, Nuna, and now Yan. Kampan was shown for a split second on the AX video. This makes 15 incarnations with physical evidence of confirmation. Lanshi and Sangmu have also been tentatively confirmed by dev statements, making the safest number of playable incarnations that we know of 17. This leaves 7 more spots for other incarnations. I just hope any combination of Tatanka, Narsuss, and Leilani makes it into the game. We're getting quite a few reveals from animation streams, so I feel like in terms of animation streams, after a few weeks of Thorani, we might be getting Kampan. Ater Kampan, though, it's kind of a toss up on who will be streamed next. I think it will be Lanshi, Sangmu, Zahra/Tatanka (bard support character from that one interview), or Tenoch (who I'm pretty sure might be a lock because of the devs mentioning the Aztec region way too much), but L0 might throw a curveball and start animating like, George or something. Super pumped to see Thorani being animated! She and Ren were my favorites, it's nice to see them confirmed. If this is the case, Ginseng & Honey would be the only character with no meter cost healing at the moment. Wondering if that will remain the case or if we'll get another incarnation that can heal without meter. This leaves 7 more spots for other incarnations. Don't forget about the Backer Incarnation(s). We might as well assume those are probably counting towards the 24 character total as well. Does anybody remember exactly how many $10k pledges there were though? I could never find a good archive from the very end of the campaign, but I want to say there were two, maybe even three by the last minute. So I've been thinking a lot, and that's never a good thing. Long post incoming. Please keep in mind that this is mostly speculation and some opinion based on a TON of assumptions. I've been looking at the incarnations that have yet to be confirmed playable. These incarnations are Kushi and Altun, Narssus, Kaldi, Toko, George, Antoine, Zahra, Tenoch, Lanshi, Tatanka, Leilani, Hassam, Kogi, Sangmu. There are 14 incarnations, and 9 spots left on the 24 incarnation roster. I'm going to assume (and hope) that the backer incarnations do not count towards this total and are end game+ content. If they do count towards the 24 total, then there are 6/7 spots left on the roster. This means we are looking at 5-8 incarnations from the original 28 being cut as playable, assuming there are no curve balls like Ginseng and Honey in the mix. This leaves Kushi and Altun, Narssus, Kaldi, George, Tatanka, and Kogi vying for 1-4 spots. This is where speculation has been pretty hot. I'm going to try and rank these guys based on who is the most likely to make it into the game and who is the least likely to make it. Narssus - Mechanically, he doesn't really clash with anyone and he was decently popular. He'll also balance out the roster a bit and has reference potential. George - He literally only beat Kushi on this list because Ajna needs to unlock the spear. If there is another way for her to unlock it, he'll definitely be lower. Offers interesting mechanics and is different aesthetically, but he wasn't that popular. Kushi and Altun - She was popular, so that will definitely weigh pretty heavily. However, her duo theme is taken by Ginseng and Honey, and the roster is a bit oversaturated with cute little girls at this point. Popularity and game play could still save her. Tatanka - He's popular with certain people. Does have overlap in terms of combat theme and culture, but brings "buff male mage" to the table, which is pretty unique. Kaldi - Popularity (and personal preference, this list is kind of biased) holds him down, but he has an interesting aesthetic, shape, and weaponry. Slight overlap with new Vasco kind of put him in danger. Kogi - I love this buff chef, but his wok has some overlap with Ginseng and Honey (Man these guys are spanners in the work) and his giant knife has potential overlap with Dhar. Even his whole buff dude spiel is taken by other characters who are more likely to make it in. Everyone, including Ajna, is cut. @J-Boogie, Salty Umbrella, Blessings and 5 others like this. 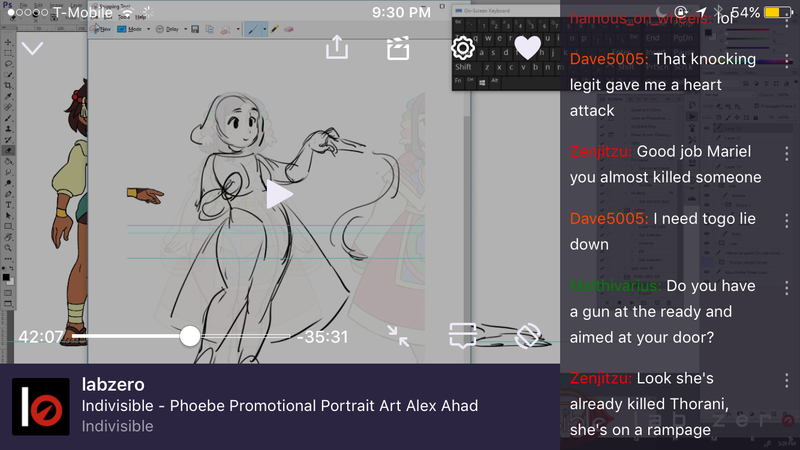 Well, I was watching the new animation stream and this happened. Looks like she's lost some of her aloofness and got a bit pudgier. I love that the little tassels from the indiegogo design is retained in her hair. Can't wait to see her animations. My skin has cleared, my grades went up, my crops are growing, all is well in the world. Shan and KaboomKid like this. Well she sure does look different. I do prefer her original face, but this new design does have a sweet charm to it. Hey everyone! I've reworked the speculation chart I posted a while back and made it look much better, as well as adding the input you guys gave me. I added Kushi & Altun as they were on the original chart posted. Much has changed from this first list so this may not be accurate, but I still think Kushi & Altun remain pretty likely. Anyways, the total on this chart (despite whether all are correctly speculated or not) come to 21 (at least, from the first three sets of the chart. Still not sure what the lower halves represent). I really want to say I recall Peter(?) or someone from the team saying that the total incarnation count would be ~24, regardless of backer incarnations, which would leave three incarnations somewhere that we don't know about. On another note, I compiled together some stats on the incarnations as they were released, taking notes from their Tumblr post added with retweets / likes on Twitter. - Some characters had totals from other accounts that aren't being totaled in here for fairness purposes, but that's because only certain characters were posted on multiple accounts. 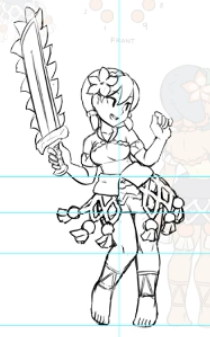 For example, Narssus was only posted on the Indivisible Tumblr and Indivisible's twitter, while Yan was revealed on Tumblr, Lab Zero / Skullgirls / Indivisible's twitters. - Unbolded characters haven't been revealed in any way yet. KaboomKid and Blessings like this. Those popularity stats are pretty interesting though. Even though they're not accurate, it's nice to have something to speculate off. Kogi is surprisingly popular. He might have a fighting chance now. Poor Tatanka and Narssus got knocked down a few pegs. Sangmu's reveal isn't helping Kushi and Altun one bit. Kushi's chub is now on Sangmu, and they give me the same vibe for some reason. I'm hoping we get two more of these meterless healers so I can run a full healer team. I wonder who would be a meterless healer though. Zahra, Kogi, Kaldi, Tatanka and maybe Leilani seem like possible candidates. Those are pretty interesting stats. Obviously awareness of the campaign was a big factor affecting Reblogs/Retweets over time, which is why early reveals like Thorani would be so low despite having a ton of fanart today. Still, they probably looked closely at those numbers. It definitely seems to reflect many of the choices that they made. How did I not see this earlier? 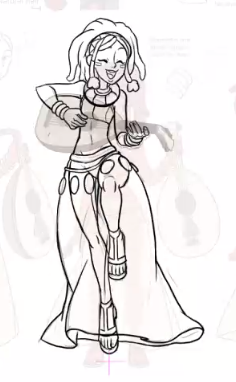 Also, uhhhhh, those "joint" things on her feet(<3) look reeeeally suspicious. We need an Empathy Test up in here pronto. Blessings and Shan like this. North888 and Blessings like this. Woot, Lanshi, Sangmu, Leilani all in a row. I'm happy. Looks like the chart has been spot on so far. The only ones left now are Tenoch and the corner person obscured by the awning, where Kushi used to be. After that, it's going to be wild speculation. On a side note, Zahra just shot up to become one of my favorite characters. Her old design was pretty meh and forgettable, but this new one is just brimming with energy. Probably my favorite redesign yet. Mmm. I loved Zahra's original serene, wise expression. Now she looks more like Elan from Order of the Stick. But like, if she's a healer then she'll still be the most awesome healer. She was one of the only original designs I liked, need to see more of this one before passing judgment, not that I have negative feelings so far. The only ones left now are Tenoch and the corner person obscured by the awning, where Kushi used to be. After that, it's going to be wild speculation. Either that or it's a tease of npcs from the North region but the number of feathers is the same of what appears to be Tenoch on the chart so hmm.. Hard to tell. It's getting down to the wire. Though I am extremely happy about the ladies revealed so far, I'd like a few more guys to balance out the roster a bit. Pretty hyped for Tenoch though, not gonna lie, especially if that's him in that Lanshi doodle. And I wonder when we'll get an official site update for Ren and Thorani. Hmm then... I always liked Toko too, if for the Hibiki from Last Blade 2 vibes she gives me. Pictured her as being an iaijutsu practionner idk why, plus her original design was very good, i wonder what would the changes be. Then... Hmm, maybe George? We've been kinda light on representatives of the Iron Kingdom, sure there's Latigo but.. So during Mike's latest stream someone asked "does Toko still exist" and I forgot the exact wording of the eventual response but it was basically that there are some incarnations in limbo because "the situation is more complex than Y/N" (which I assume has to do with how much funding the game receives? That's just a simple guess though and it's a bit odd given that they supposedly have the number of incarnations and everything planned since pre-production so I have no idea). Personnally, I believe Kogi will make it. See, the moment I saw Kogi my immediate reaction was "what a cool idea it would be for him not to be playable". Maybe they have difficulties implementing them? I don't know. 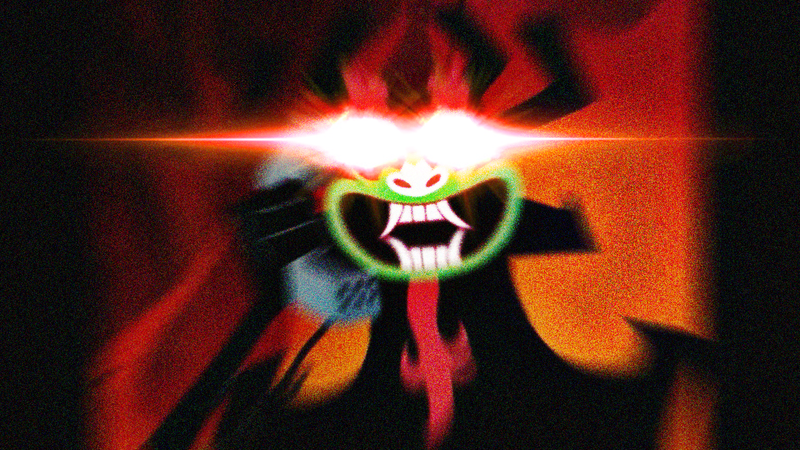 Wasn't there a stream or a post saying they had to cut the number of incarnations because there are more animations than planned? Like they didn't plan to give each incarnation uniquely animated supers, but they have that now, so they had to cut some for time. Doesn't this seem like it could be Kogi's kitchen? Massive pot, lots of peppers. Seems to check out. Kogi could totally play like the chefs from Miitopia. Heals with food, wack enemies with pans, feed party members spicy food and have them breathe fire at the enemies. There's a lot they can do gameplay wise with his design concepts. They probably still don't want to say too much about the final roster until everything is locked in. We just know 24/25 is the number of incarnations they've been planning around, but there could be more if they have the time. Also, we've speculated before that it's possible various plot/gameplay ideas from different characters may have been shifted around so that the smaller central roster could still retain a good amount of diversity. If that's the case, it might have affected the priority of including some characters over others if they're able to squeeze in more. There are probably lots of factors to consider. Shan, Blessings and Cheesedragon like this. So during Mike's latest stream someone asked "does Toko still exist" and I forgot the exact wording of the eventual response but it was basically that there are some incarnations in limbo because "the situation is more complex than Y/N"
Toko had a definitive japanese flair when she was revealed so i wonder if she was kinda retooled to better match the possible lore adjustements the game had? And that's where Mike saying "its more complex than yes or no" comes from? Well I guess we'll see later. What if the reclusive island nation is actually "Japan?" It's a good point that Ren's bio was the first time in a while that we've been given a vague reference to a region, so this island might be an even more isolated section of the East than the "China" region. So isolated, that it doesn't even have a commonly known name. I made this to keep track of characters and their development. Seems like there's a lot of characters connected to Tai Krung city. G&H, Naga Rider, Thorani, Kampan, possibly Kogi, and now Ren. Does this affect Kogi's chances of being playable? 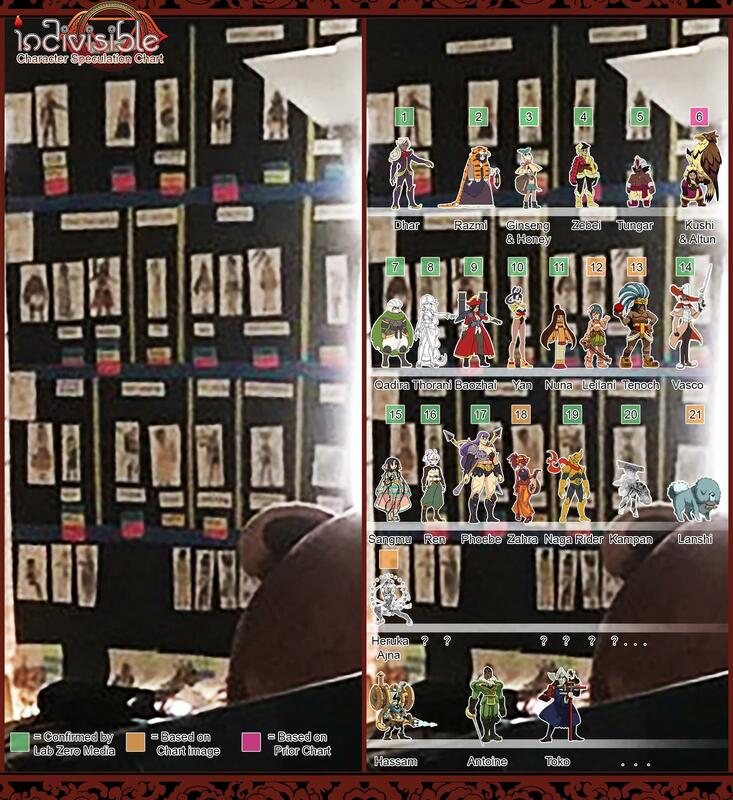 On another note, Ravi mentioned on Resetera that the incarnations with Trigger animation sheets are plot important. That's Dhar and Baozhai so far. I wonder who else will be plot significant? I mean Tai Krung City feels like its gonna be the big city of the game so it had to be expected. And that's a very good looking pic @Ducksnake !! Good work there. I'd imagine most of the characters connected to Tai Krung are plot significant, since it looks like there will be a lot of buildup for that section. We probably won't be meeting all of the Tai Krung related characters in the city itself though. 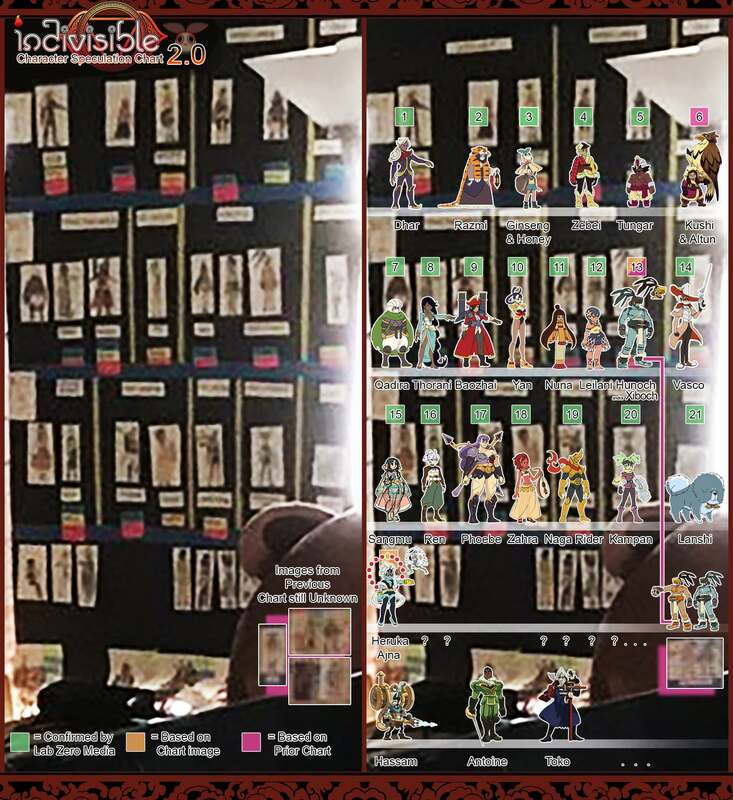 The character charts in the photos have always placed Thorani in the same section as Baozhai, while Kampan and Naga Rider are in a separate section, so it makes me think Ajna might be running into Thorani around the Maerifa port area instead. Ginseng & Honey will probably be found far away from home too, as part of the early game. We might even see Kampan in other regions too, depending on how much she gets around. Going back the topic of Ren's home though, I wonder if that reclusive island nation might have some connection to Lhan? We don't know much about that region yet, but we know it seems to have some connection to the ocean. Maybe it could be an island of some kind? I'm surprised to see Tenoch cut, looking back at the speculation chart he seemed to be a lock. If the character was Tenoch this means he was removed from this original list. This seems a little strange to me because the entire chart so far has used newly updated / redesigned designs, and seemed already thoroughly planned. Granted, I'm sure time constraints could just mean he got a new design but they didn't go through with using him in the end. 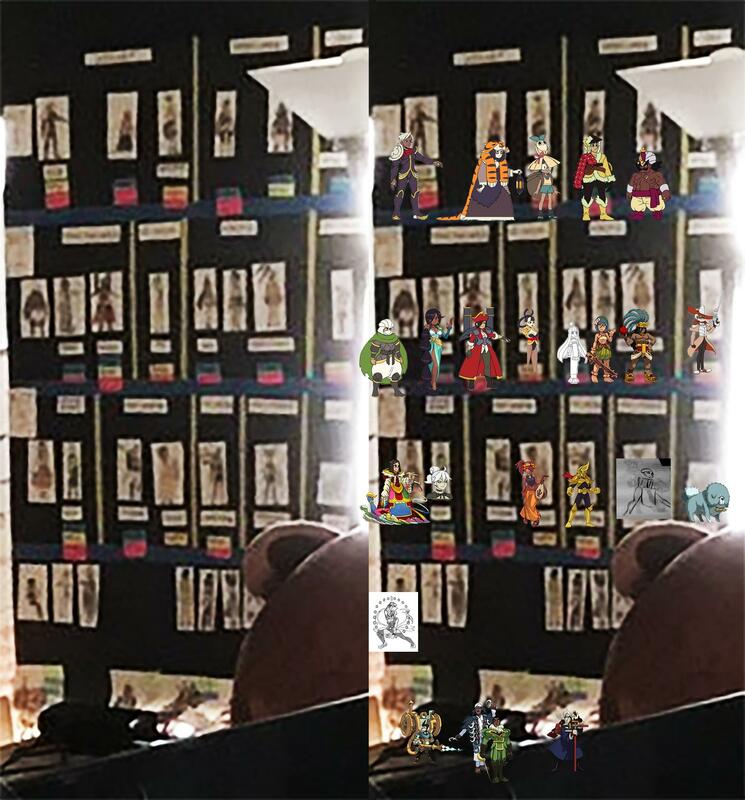 If it was never Tenoch however, this could mean another spot for a character that was not thought to be on the chart prior (the silhouette still looks like it could be one of the twins for example, though I'm pretty sure they're implied to not be playable). Interested in what you guys think. Note: Chart in Question here, if I can get around to it I'd like to add some of the newly updated designs, remove Tenoch, etc. Also! In the end it turns out the characters blurred in this gif are the twins. Since Xiboch and Hunoch are based on Xbalanque and Hunahpu, it could be possible that Hunoch will die and Xiboch will join the party. Hunahpu died a million times in the Mayan Hero Twins cycle, maybe he stays dead in Indivisible. That could explain the single figure in Tenoch's spot in the speculation chart. I'm surprised to see Tenoch cut, looking back at the speculation chart he seemed to be a lock. 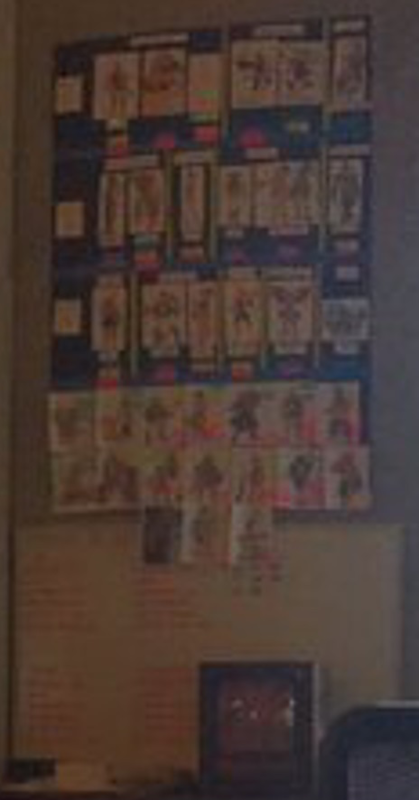 Well, if you look at the first chart that Shan posted, which is apparently much older, you can actually make out the exact same concept art we got in the update, which explains why Tenoch's art isn't on there. Then, if you look at the later chart, it also explains why Tenoch's spot appears to have such a long label underneath, suggesting multiple names. We also had the Gif you posted too, showing two characters. So as far as we can tell, Tenoch has actually been Xiboch & Hunoch for a pretty long time. We'll have to see if they both end up playable, but since there's been a spot for "Tenoch" on both charts, I think it's extremely likely that at least one of them will be. 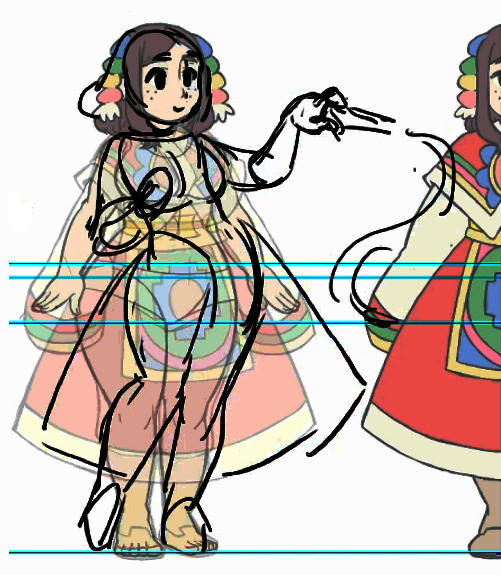 Like I mentioned in the other thread though, they also seem designed to potentially share animations, so that would make sense if they're both included. Now i realize those were totally the two twins, haha. Any chance we actually see Lanshi killing it in a heated tlatchlibol match? My guess is that they will somehow both be playable, just integrated together in a two-in-one type of deal. One might be the main character, while the other will come out to assist in certain moves. Blessings, KaboomKid and Shan like this.